Caroline has been sleeping from 9:30pm to 7am for 4 weeks now, so yesterday we decided to try her for that twelve hour stretch. She did it!! We fed her at 7pm, put her down by 7:30, and I went up to feed her this morning at 7:10. 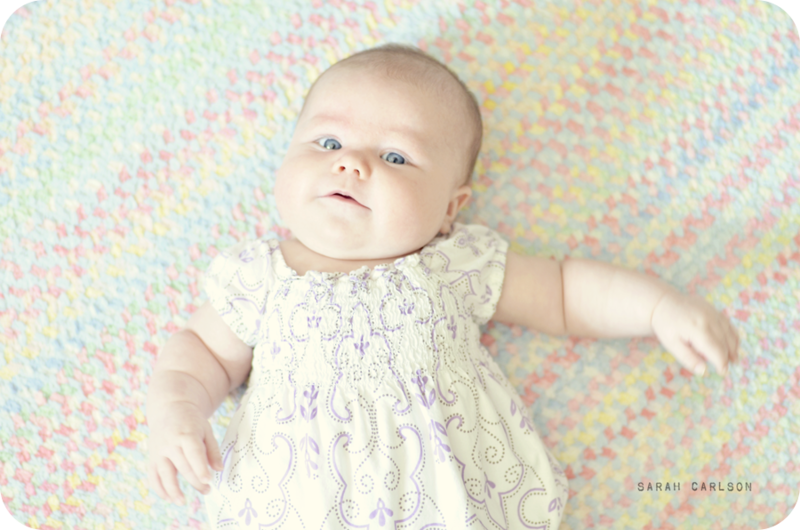 She was wiggling around, and her swaddling was super loose, but she still hadn't made a peep! This series was taken at 10am when I went to wake her from her first nap. Fast Asleep Huh, what? Oh, hi, mama!! Hurry up and feed me!